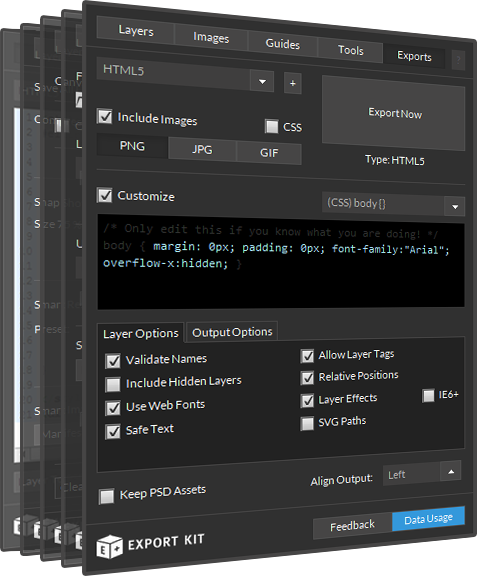 CSS Screen Tags give you the power to create responsive HTML5 and CSS3 websites from your PSD file. You can define multiple screen sizes to support any number of devices inlcuding desktop, tablet and mobile. Note: You can export unlimited screen sizes but, you should note that multiple screen sizes will increase the export time. 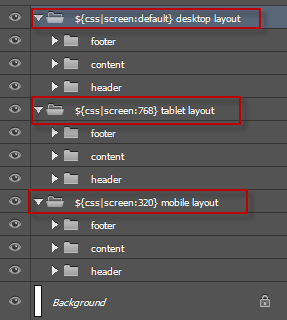 To enable Responsive CSS layouts, you must enable [Customize] and [Responsive CSS] in exports view. 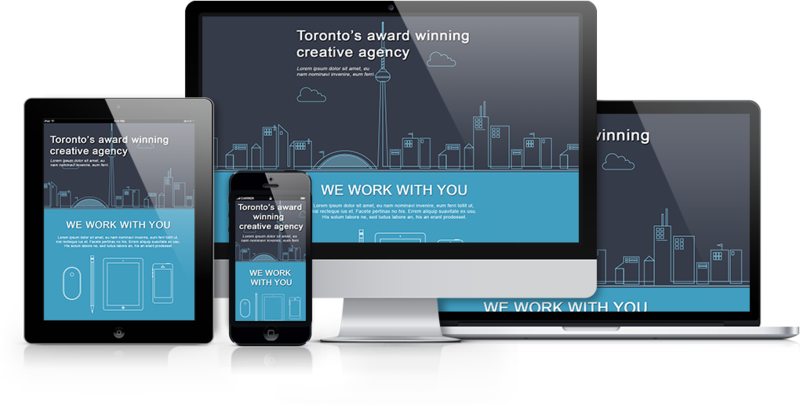 You can also include responsive image assets to reduce the bandwidth on smaller devices such as mobiles. 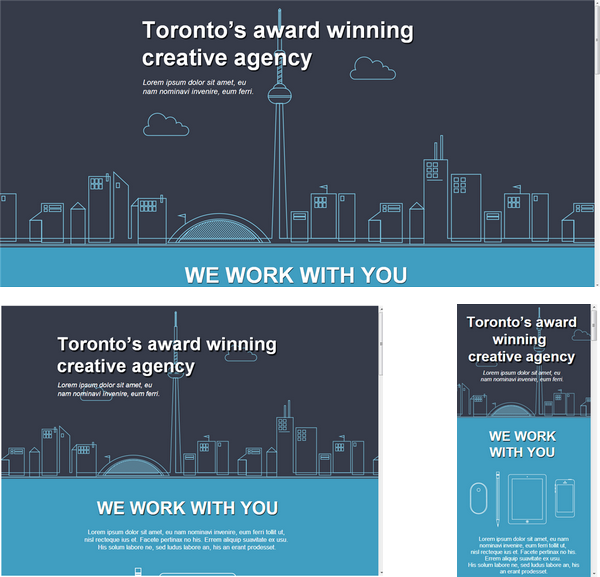 Download the Layer Tags PSD Templates to test [CSS Screen Tags] with your output.